You’re probably reading this as you’d like to find out what a factory needs from you to start making your line. I’m here to give you the hard answer and say that it depends on the factory. Despite what you think, there is no internationally accepted standard and single correct answer! (Insert eye roll emoji here). Different factories have different requirements and some won’t have any requirements at all. What I strongly advise you have, is a tech pack (of course, insert second eye roll here). If having a high quality product that's made correctly is important to you. If that’s not important, then you have my full permission to skip it. A tech pack is simply a document that outlines all the details relating to your product. The design, the colors, the measurements, etc. You can liken it to an architectural blueprint, an instruction manual and a technical spec all rolled into one. Having all materials, measurements and info outlined in a simple document allows you to create your product without leaving any of the finer details to chance. You can also use it to check your samples are correct. Or to make/track improvements to your initial design. Once you’ve got the details down in one document... you can then repeat production, in as many quantities, at as many locations and as many times as you’d like. Tech Packs - What's The Big Deal? At this point I often get asked about patterns and if you need one too. Most factories will be able to make a pattern for you using the measurements/specs from your tech pack. If not then you may have to hire a pattern maker/pattern cutter (a professional who makes patterns). So what exactly is a pattern? A pattern is the actual template of your design and is usually made up of many pieces. On a t-shirt for example... you would have a pattern piece for the t-shirt front, one for the t-shirt back and another for the sleeves. The pattern is drawn, then placed on top of your fabric. 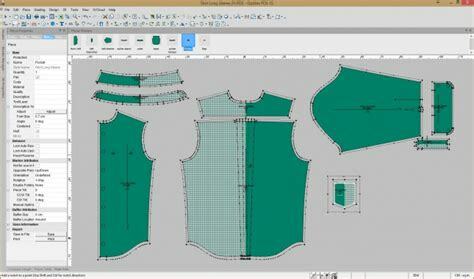 A cutter (can be a machine or person) will use the pattern as a template to cut out the fabric. You then have correctly shaped pieces of fabric ready to be sewn together. Patterns can be drawn by hand onto paper, or drawn digitally using software. Digital patterns are great for portability obviously. They can also be more quickly scaled into different sizes and laid out onto fabric (as it’s all happening digitally). Like I said, once you have a tech pack, a pattern can easily be created from the specs in your tech pack. The spec section of your tech pack is where all the measurements are listed... which brings me to another point of confusion around spec sheets. 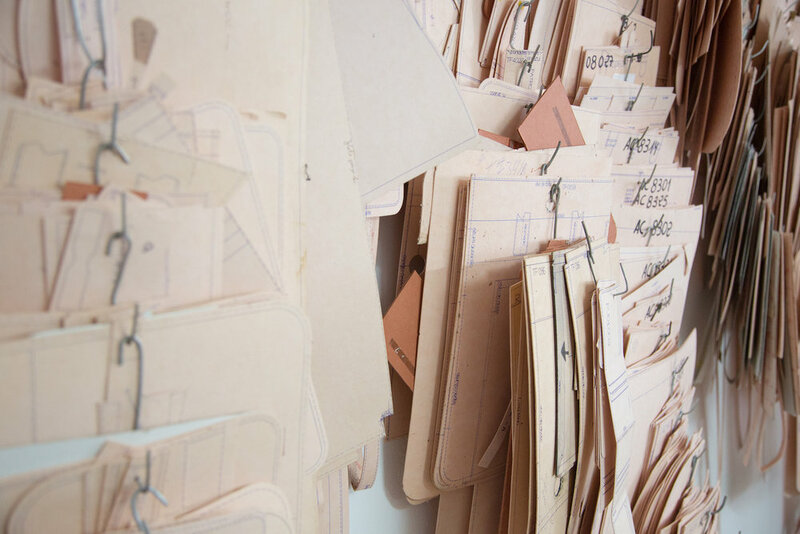 A spec sheet traditionally contains all your measurements for 1 sample size. It would have a technical drawing of the front and back of your design, plus your fabric info. A pattern maker could also use a spec sheet to create a pattern from too. Spec sheets were more popular a few years ago, before tech packs (which are much more comprehensive) caught on. Enter your email below for a free copy of our PDF spec sheet. So to wrap up this article let me say, best advice I can give you is to get a tech pack. If you can’t afford one, try to document your design as best you can yourself. Keep all info in a single document to keep things organized and make it easy for a factory to produce your product. Enter your email below for the free download & join us for the Tech Pack Tuesdays newsletter.